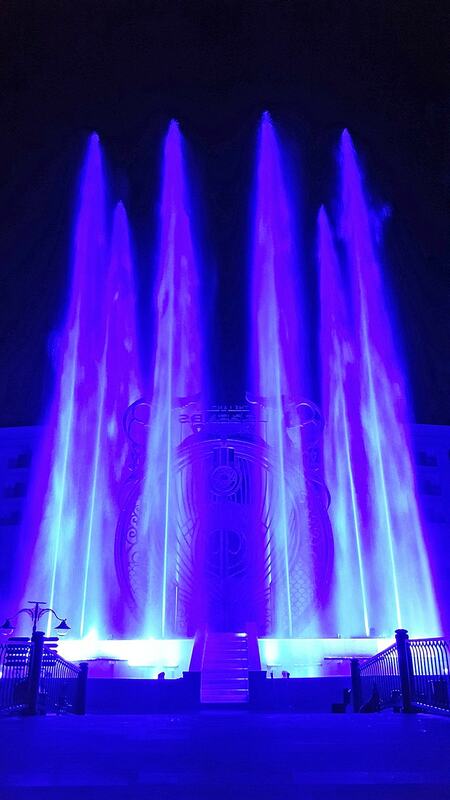 ‘The Land of Legends‘ is the largest water park / resort in Europe. The complex, owned by the Rixos Hotels chain, is located in Antalya, Turkey. 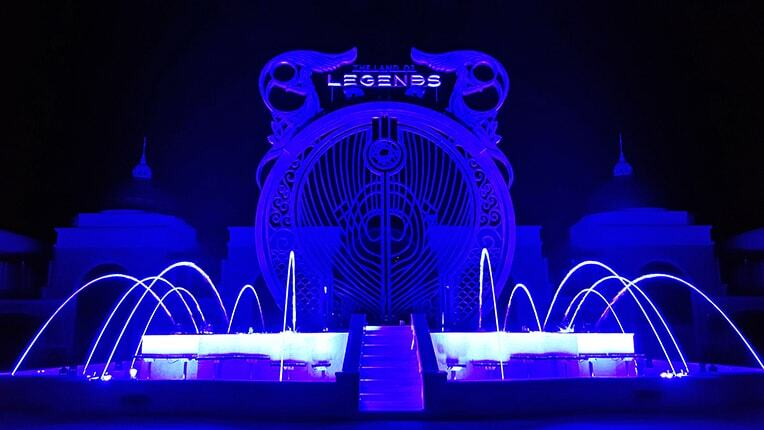 One of the central elements of ‘The Land of Legends’ is the huge access gate, installed in the middle of a large fountain, around which the opening and closing ceremonies are held daily, enhanced by water games and multicolor projections, programmed by LD Olivier Legendre. 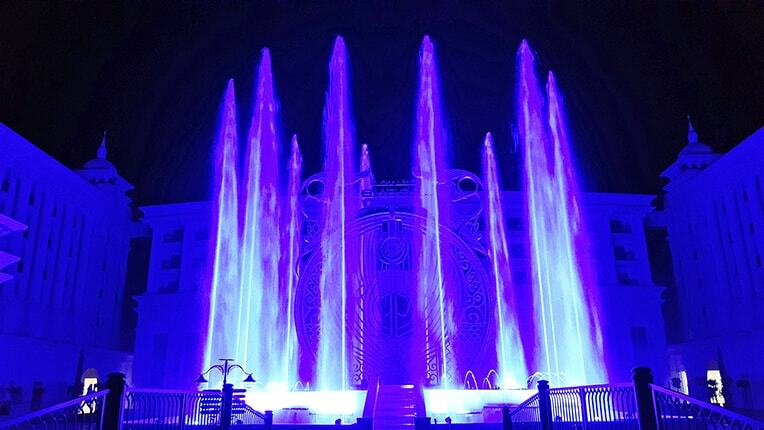 The fountain and pool are lit by a range of RGBW LED projectors developed by DTS for underwater applications, some of which have been specially adapted to the project specifications. 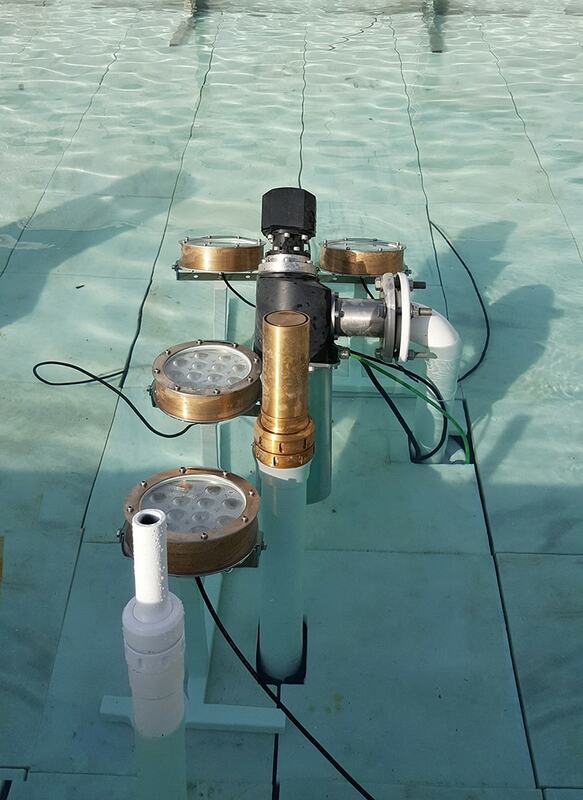 10 Helios Bronze 12 R FC have been installed for lighting the gate from below; 24 Dive 3 R FC around the rings, 16 Dive 1 R FC on the steps. In addition, 32 FOS 100 Dynamic LED bars and 8 more FOS bars have been modified to an IP68 protection level for aquatic use. In addition to the many theme attractions, consisting of 70 mega slides and countless water games, ‘The Land of Legends’ – set up in collaboration with Franco Dragone, the undisputed genius of world entertainment featuring the highest creative and artistic level – is a real reign of fantasy. In fact, in the large park, the ‘fantastic’ element – created by fairytale scenographies and a large staff of artists engaged in carefully choreographed performances – integrates perfectly with the top-level audio, video and lighting technology, fashioning a unique multi-sensory experience.